Veterans Day is next Tuesday so this seems like the perfect time to take a ramble down the Blue Star Memorial Highway. 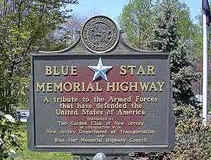 The idea for a designated roadway began when the New Jersey Council of Garden Clubs started a Blue Star Memorial Program in 1944. The group planted 8,000 dogwood trees along a 5½-mile stretch of U.S. 22 as a living tribute to the New Jersey veterans of WWII. 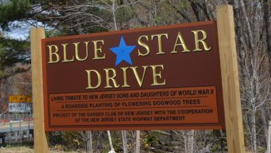 The roadway was then designated as “Blue Star Drive." 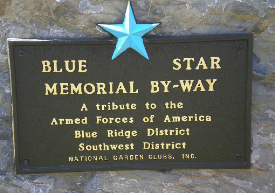 The National Council of State Garden Clubs (now the National Garden Clubs, Inc.) liked the idea and in 1945 began the Blue Star Highway Program. 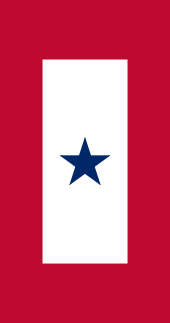 The blue star was used because it was displayed on service flags to denote someone who was fighting in a war. These service banners were originally designed in 1917 to honor those serving in WWI, and were used again in WWII. 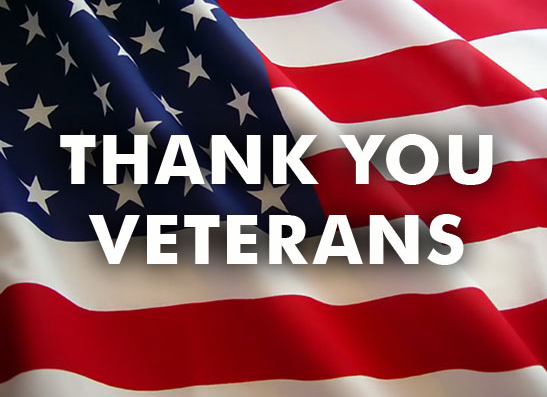 The flags are still in active use today and can only be made by specific government license according to Department of Defense code. The Blue Star Memorial Highway signs still look the same with a copper-colored background and the National Council of State Garden Clubs logo mounted on top. 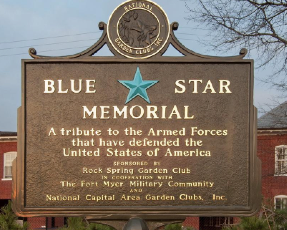 The blue star is prevalent on the sign, with the wording in gold leaf letters stating that this sign is “A tribute to the Armed Forces that have defended the United States of America.” The plaque also designates what garden club sponsored it in cooperation with the state highway department of transportation. The Blue Star Memorial Highway covers over 70,000 miles in the U.S. and can be found in 39 states including Alaska and Hawaii. Many signs still stand where they were dedicated almost 70 years ago. 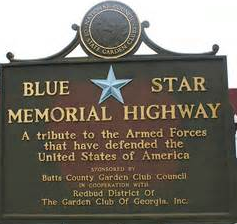 The program expanded beyond highways to include Blue Star By-Way markers in 1981. These markers are used at civic and historical grounds, parks and gardens. Then in 1996, a third marker was added – the Blue Star Memorial Marker. This plaque is identical to the original Blue Star Memorial Highway marker but does not have the word “highway” on it. 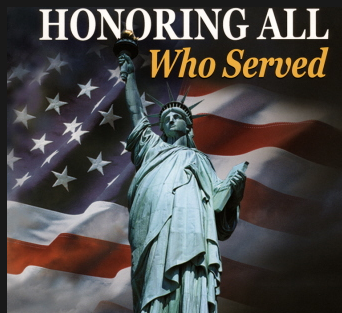 This allows for the sign to be posted at national and veteran’s cemeteries, VA medical centers and hospitals, and other civic sites. All three signs may be ordered from the National Garden Club’s website. 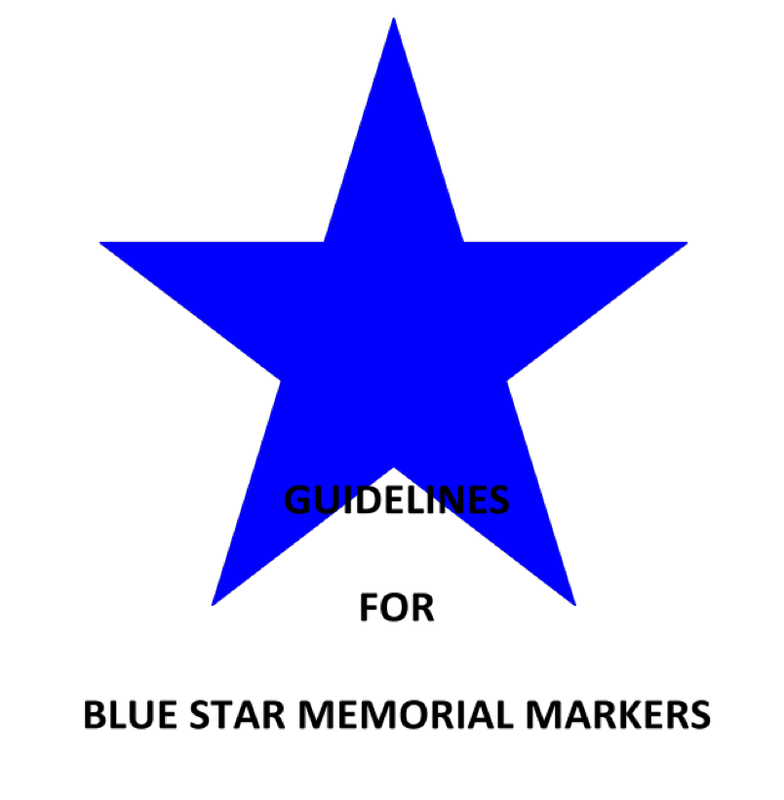 For current rules, visit Guidelines for Blue Star Memorial Markers. 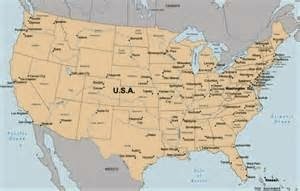 So the next time you pass a Blue Star sign, remember our men and women of the Armed Forces of America.